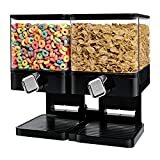 As a child, you dumped your sugar-filled, dry marshmallow laden breakfast cereal from a box into a bowl and plowed through it like a voracious little monster, but as an adult, now you can finally dispense your ultra healthy cereal in a more sophisticated manner with this cool new Ad Hoc Cereal Dispenser. 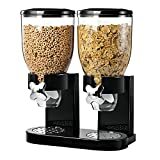 This modern stainless steel dispenser suitably stores and portions out cereals, rice, candy, nuts, oats, and other dry foods with a simple crumb-free twist of a handle. 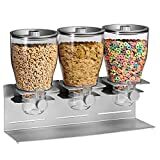 It's crafted from stainless steel, has a 48 oz acrylic storage container that can be removed from the and brought to the table, and each twist delivers a perfect portion into your bowl. 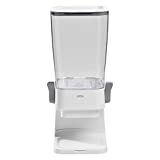 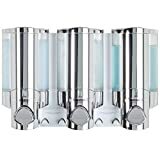 A great space-saving and stylish addition to any kitchen countertop, office cubicle, dorm room, or anywhere you might like.